Summer is officially here so if you go to flip the switch on your air conditioner to COOL but don’t actually get cool, call Zanesville Ohio air conditioning contractor Thorne Plumbing, Heating, and Air Conditioning. We’ll have your AC unit back up and running in no time. You can also check out this guide to Troubleshooting Common Air Conditioning Problems. Many of us wait all year for summer to arrive, so there’s nothing worse than having it finally get here only to be miserable through the full three months that it lasts because your air conditioner decided to take the summer off. Our Zanesville Ohio air conditioning contractors are highly trained and extremely knowledgeable and can fix any trouble that your air conditioning unit gives you. We believe that you should enjoy your summer, not sweat it away. If you have any of these common ac problems, give us a call then go ahead and kick back with an ice-cold glass of tea or lemonade while we handle the work. We’re here when you need us! 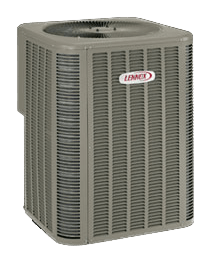 Some issues, such as the unit not coming on at all, make it pretty obvious that your air conditioner isn’t working right, but there are also a few other things that might be happening, such as higher electric bills, that might not lead you to immediately suspect that it’s an issue with your AC unit. This list of warning signs from House Logic offers some suggestions for possible causes, fixes, and the cost associated with each. How Do I Know if I Need a Zanesville Ohio Air Conditioning Contractor? There are simple things that most homeowners can do to see if they can fix the issue themselves such as clearing weeds or debris away from the AC unit, checking for a tripped breaker, and cleaning or changing filters, but beyond that, most problems are going to require a Zanesville Ohio Air Conditioning Contractor. That’s where our professionals come in. Whether your air conditioner needs recharged or filled, or parts repaired or replaced, we have the experience and tools to handle it all. Let the experience of the #1 Zanesville Ohio air conditioning contractor work for you – call Thorne Plumbing, Heating, and Air Conditioning today! This entry was posted in Air Conditioning, Zanesville Ohio on July 2, 2015.